Would be a good idea to move the front page "download" button next to "multiplayer" with the same white font / color. I only noticed it even exists like a month ago. Would reduce the amount of wrong median version installed problems. Also the mod install instructions could go under the same "download" header, since it's only logical (should also include instructions for d2se / plugy until they become obsolete, as well as a link to the launcher). 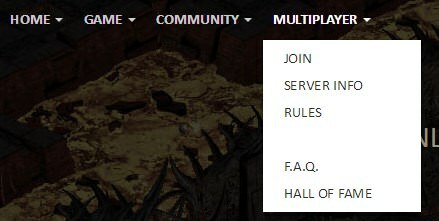 Right now you have to go "multiplayer" -> "join" which just makes no sense, especially if you have no intent of playing mp. It happening with any menu sections when highlightened on main page (HOME - NEWS). Looks like it might be on your end or a browser error. Edit: I see what you mean. Only on the Home Page (not the forum) and when highlighting the first option of each dropdown menu. L H wrote: Looks like it might be on your end or a browser error. Not just first for me. Probably just a highlight color issue making it white highlight instead of the blue like the forum options use. 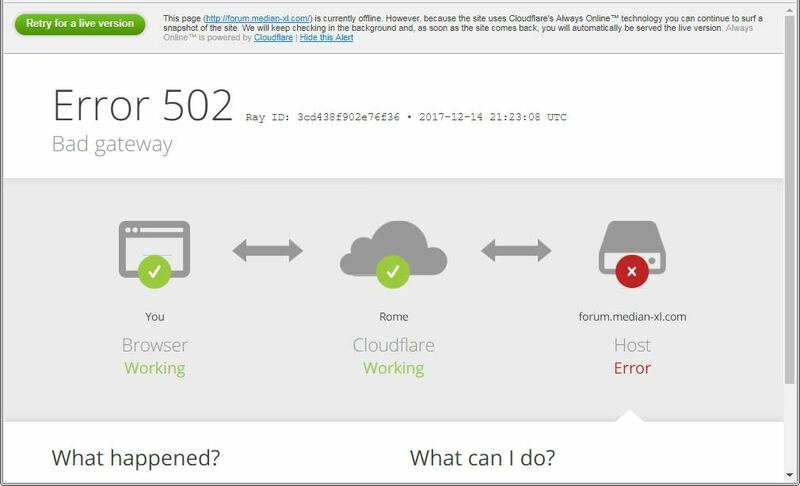 It' has been two weeks in which the forum for me has often performed very badly in loading pages, sometimes failing to do so and other time all that is loaded is a page with an error. The pic shows the error I got few minutes ago. Instead a couple of days ago I received another similar error but with a numeral signature in brackets that kept changing whenever I refreshed the page, sadly couldn't take pics. These error should not happen anymore, the problem was fixed last night.